We’ve still got a few left available at Caustic Gear as of this posting, but once they’re gone you’ll have to line up for the non-reserved space we have left. Doors will open at 12 noon on Sunday, May 12th at EXP Restaurant and Bar (309 W. Pender, Vancouver, BC) for those with reservations, and 12:30 for everyone else. Seating is on a first-come, first-serve basis, though if you haven’t got a reservation you’ll be a bit further back. EXP’s kitchen will be operational, so grab some munchies and have a drink while mingling with the Caustic Soda crew and your fellow Soda Jerks. 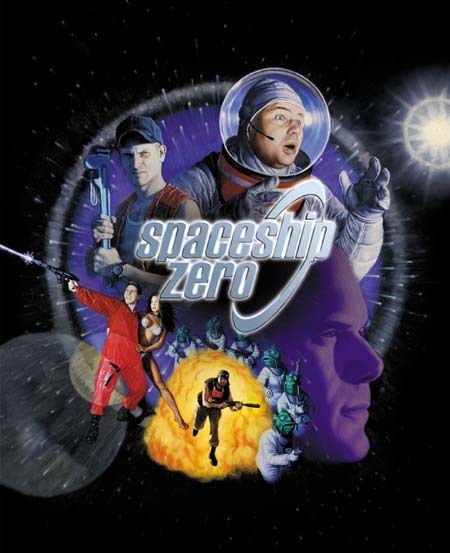 We didn’t promote the bidding for this very well so we still have two slots available for the Spaceship Zero Roleplaying Game session after the live podcast. We’ll be doing a live auction after the show for these spots, and will be adding in a few bonuses to sweeten the prize, so stick around if you want in. This session should go from 4pm-8pm, but we can’t guarantee exact times. We might go late! Lesser of Two Evils – Live! We’re still taking suggestions from Soda Jerks for the two horrible fates for the Live Lesser of Two Evils. Head over to the Lesser of Two Evils page and submit your idea from a previous show and we’ll let the live audience decide which two we’ll use. Is yours disturbing enough? Note: We reserve the right to disregard submissions that don’t fit the segment! Make sure it’s a proper Lesser of Two Evils horrible fate, described in a previous episode! Because you demanded it: Caustic Soda is at Northwest Podcast Fest!